Most of the few houses on the island are in this sheltered corner. A rock called Burgastoo can be seen in Busta Voe: it is just in the square, at HU34226595. 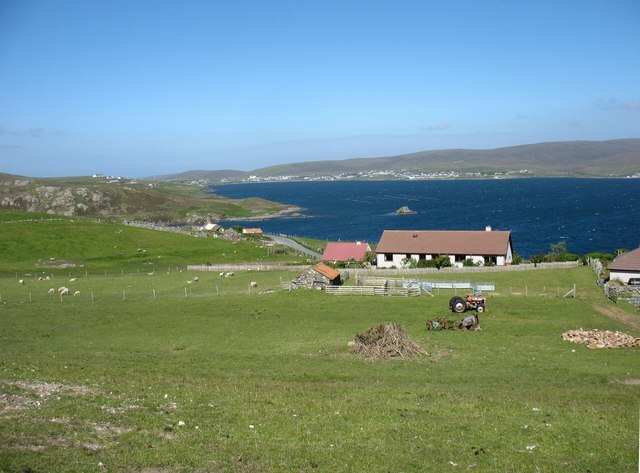 On the far side of the Voe is the small town of Brae.